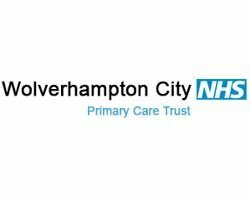 The Wolverhampton Primary Care Trust (PCT) has reduced the cost of data back-ups by up to 30% in the year since switching to an agentless back-up system for virtual servers. The IT team tackled the problem of rapidly increasing patient record data for 237,000 patients across 90 health centres by introducing virtual servers. But the trust's system for backing up physical servers was inefficient for virtual servers, which now make up 50% of the total number. The process required installing software agents in every virtual machine, which made back-ups time-consuming and costly, said Mark Parsons, service manger at the Wolverhampton PCT. The IT team chose Veeam Backup & Replication to complement and protect the trust's existing investment in EMC's Domain Data de-duplication storage and BakBone NetVault physical back-up systems. "We needed something that would work with and complement our existing systems. The Veeam product stood out from others on offer because of its fast recovery speed, the fact that it did not need additional software to be installed in the virtual machine, and because it offered good data de-duplication and compression," said Parsons. The software was also very easy to use in comparison with others, requiring only a few clicks to get things done, he said. "We can have a virtual machine back in place and working in minutes, compared with two to three hours in the past," said Parsons. The Veeam software enabled the trust's IT team to reduce overall server back-up times by 50% and increase physical server roll-back time from eight to 16 weeks with 50% greater data compression. "For just 8% more disc space, I get more physical server roll-back and 30 days of virtual server roll-back on disc before the data is moved to tape," said Parsons. The number of times the IT team has to refer to tape back-ups has been cut from three or four times a week to three or four times a year, he said. Although targeted at rapid back-up and recovery, the Veeam software has delivered additional business benefits, he said. The trust is now able to test any software updates without disrupting business because the software enables the IT team to replicate the network environment in minutes. "We can test any software upgrades fully in a sandbox environment that is an exact copy of our production environment," said Parsons.